This week Scott is back from Taiwan and Andrew’s wounds are healing. The guys catch up on the past two weeks and get excited for what’s to come with Bronx Pinstripes in 2019! 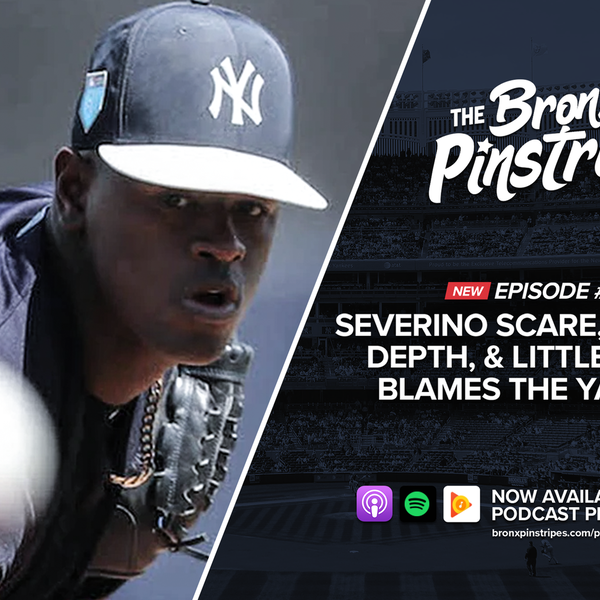 Topics: Luis Severino’s injury and what it means for the rotation, Tyler Wade likely making the opening day roster, Jacoby Ellsbury reporting to camp soon, the ‘Vird’ first base battle, CC Sabathia news, the possibility of the Yankees using an Opener, Sonny Gray blaming the Yankees for his struggles, rotation depth, Judge/Stanton HR battle, and what life would be like if ARod were manager. Today’s show sponsors are Sleep Number (visit sleepnumber.com/BRONX for the location nearest you) and SeatGeek (download their mobile app and enter code BRONX for $10 off).